7. What Are You Doing New Year’s Eve? 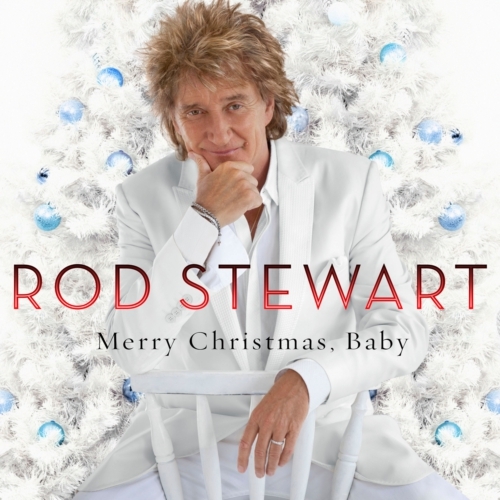 For the past decade Rod Stewart has been content to become a crooner covering the “great American songbook” as well as Motown and rock ‘n’ roll staples. Despite having said in the past that he would never do a Christmas album, it was really only a matter of time before he did just that. Rod isn’t a rock star or a pop star anymore. He’s a crooner in the tradition of Crosby, Sinatra and Martin (just as Michael Buble is). You can’t be a crooner and not do a holiday album. Rod has not been taking any chances in the past decade when covering the materials of others. The songs are played faithfully and in their traditional big-band fashion just with Rod’s raspy vocals laid over. A few exceptions would be songs like “Let It Snow! Let It Snow! Let It Snow!” or “Winter Wonderland” where the tempo is a bit slower. It’s easy listening background music at a Christmas party. Not that I’m complaining. These songs are classics for a reason and in my opinion they don’t need to be remixed or refashioned into flamenco, country and dance songs. Just give someone with a great voice the mic and let’em sing. That’s exactly what’s been done with Merry Christmas, Baby. As standard, there’s a few cameos on this album. Michael Buble appears on “Winter Wonderland”, Cee-Lo Green lends a hand on “Merry Christmas, Baby” and Mary J. Blige duets with Rod on “We Three Kings”. While I can’t say I’ve ever really followed Rod’s career, he’s always had a great distinctive voice so it’s wonderful to hear to him put his vocal stamp on these timeless classics. There’s a couple of songs I didn’t really care for though. “Red-Suited Superman” being one and I felt the inclusion of “When You Wish Upon a Star” was out of place. Why not just save that for the next volume of his Great American Songbook series? That’s not really a Christmas song at all. In any event, this is a good easy-listening Christmas album that’s well worth picking up for Chrirstmas traditionalists.